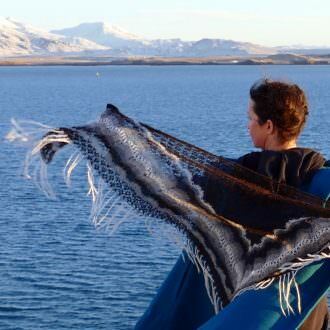 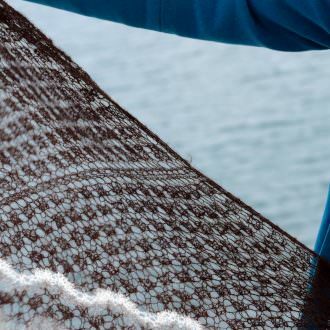 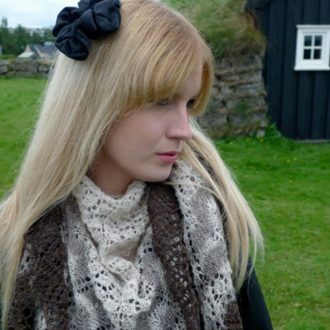 Margrét is a triangular shawl in the purest Icelandic lace tradition with its spider motif in the body and an undulating lace border displaying the beautiful natural colors of the Icelandic sheep. 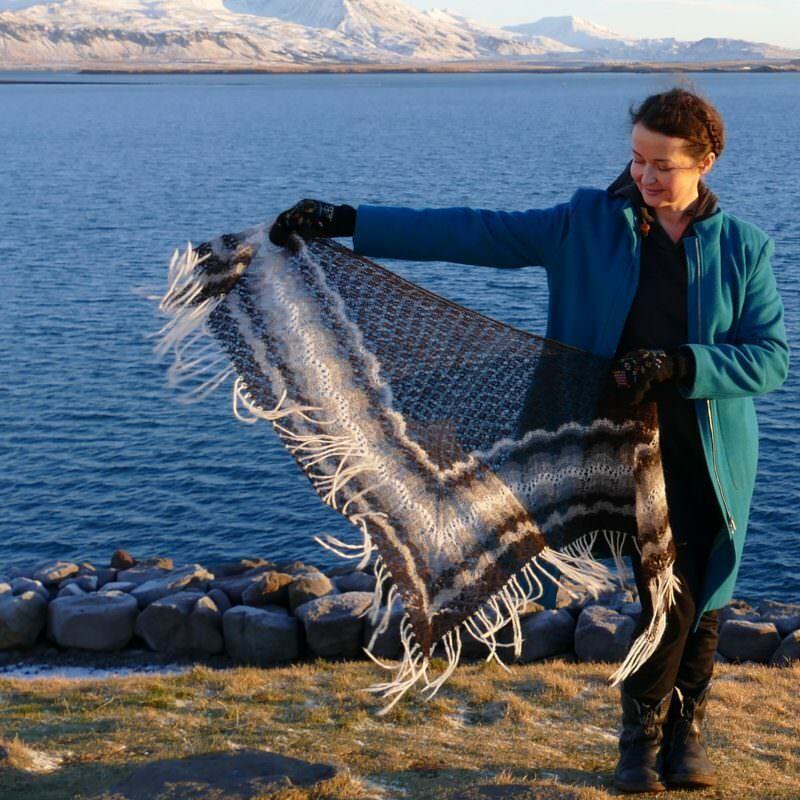 In the Old days, shawls like this would be knitted with a very fine and soft handspun þel yarn, the inner soft layer of the Icelandic sheep. 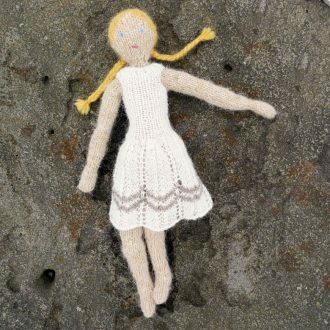 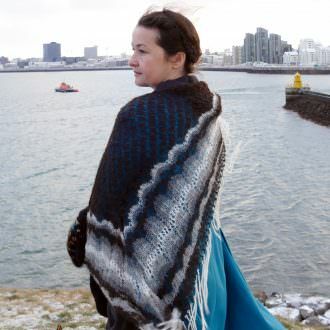 Today, Love Story is the Icelandic yarn that comes the closest to it. 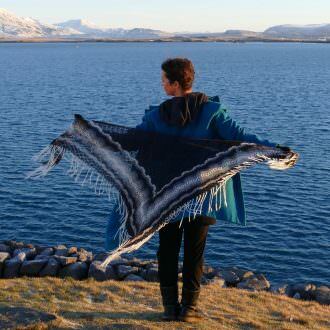 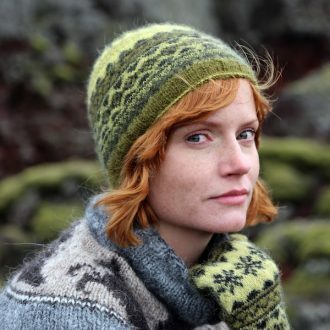 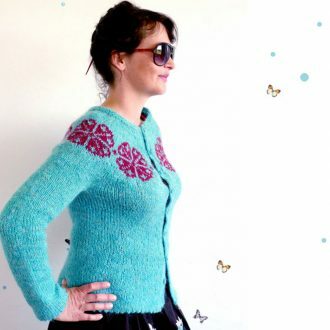 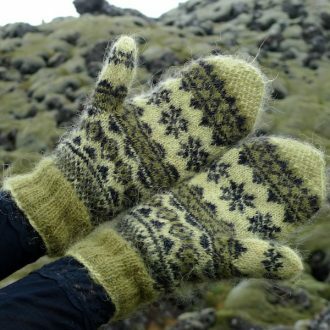 The pattern was also published in my book Icelandic Handknits (Voyageurs Press). 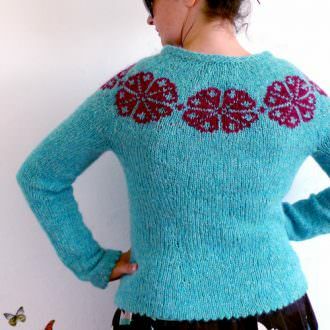 The single pattern PDF has both charted and written instructions. 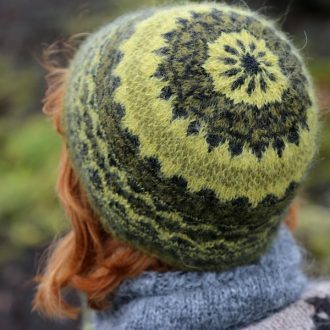 Buy the pattern alone here. Margrét is a triangular shawl in the purest Icelandic lace tradition with its spider motif in the body and an undulating lace border displaying the beautiful natural colors of the Icelandic sheep. In the Old days, shawls like this would be knitted with a very fine and soft handspun þel yarn, the inner soft layer of the Icelandic sheep. 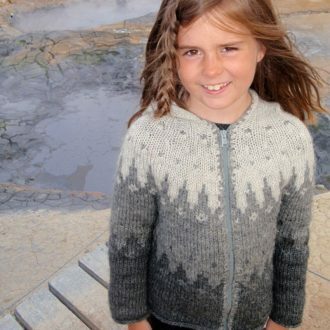 CC2/CC3/CC4: Basalt grey (dark), Natural grey (light), Natural white, 1 skein each. 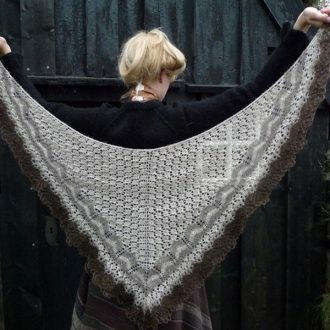 Techniques: The shawl is knitted from the top down. It is made of two identical triangles with 3 middle sts and 3 sts garter st borders on both sides.